My Story Book Creator School Edition is an easy-to-use artistic tool that gets kids to tell stories and introduces them to digital creation. 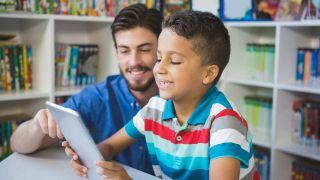 Actively Learn is an interactive ereader with excellent built-in Common Core aligned lessons that help students connect and stay engaged. News-O-Matic for School features high interest stories that are engaging and appropriate for elementary-school students.